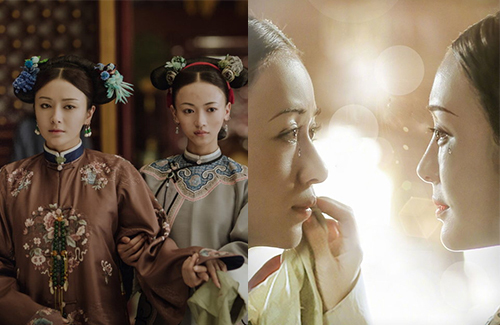 The stars of Story of Yanxi Palace <延禧攻略> will reunite for a new Yu Zheng (于正) drama regarded as the Republican-era version of Yanxi Palace. Chuan Jia <传家>, literally “To Pass On From Generation to Generation,” will be Yu Zheng’s next big project after he completes work for The Legend of Haolan <皓镧传>, which stars Yanxi Palace actors Wu Jinyan (吴谨言) and Nie Yuan (聂远). The series will reportedly feature the original Yanxi Palace cast, and will be led by Wu Jinyan and Qin Lan (秦岚), who played Empress Fucha in the 2018 television drama. Meanwhile, The Legend of Haolan—a series about the rise of Zhao Ji, also Qin Shi Huang’s mother—will premiere on January 19, 2019.